According to the U.S Census Bureau, the homeownership rate in America is 64.2%. This means there are over 77 million owner-occupied housing units across the country. If you're a homeowner, then you know keeping your house sealed against the elements is a necessity to prevent damage due to water entering the home. This means making sure your home's siding is in good condition. It's important you regularly check the siding to decide if it's time to think about replacing siding on your home. Not sure if you need to replace your siding? Don't worry, we're here to help. We'll tell you what signs to look for when deciding if it's time to replace your home's siding. When trying to figure out if your home needs new siding, here's what to look for. You should walk around your house and look at the siding to see if there are any signs of damage. If you see the siding is cracked or loose then you need to have a professional siding expert check the extent of the problem. Rotting or warping of your siding is another telltale sign there might be a problem. If you find the layer under the home's siding is soft, then you'll know water is seeping through and your siding needs immediate replacement. Another thing to look for is any holes in the siding. Typically, these holes are caused by insects and the holes can let in moisture such as rain and snow which will damage the interior walls of the home. Finally, as you look at the siding, check to see if you notice any bubbles on the surface of the siding. Bubbles are a sure sign water is trapped in your siding and your siding needs to be replaced. Most vinyl siding is designed to keep its color throughout the life expectancy of the siding itself. If you have vinyl siding and the color is severely faded, then this is a signal your siding has reached the end of its life expectancy. For paintable siding, if you find you need to paint the siding every five or six years then you should consider replacing the siding. Good siding should keep its color for at least 8 years. If you notice loose wallpaper or peeling paint on the inside of your house it likely means water is getting into your house and reaching the interior walls. Taking a close look at your siding can tell you If water is getting in through the siding and seeping through the wallboards causing the paint to peel and wallpaper to become loose. If this is the case, you'll need to have the siding replaced immediately before more significant damage occurs. 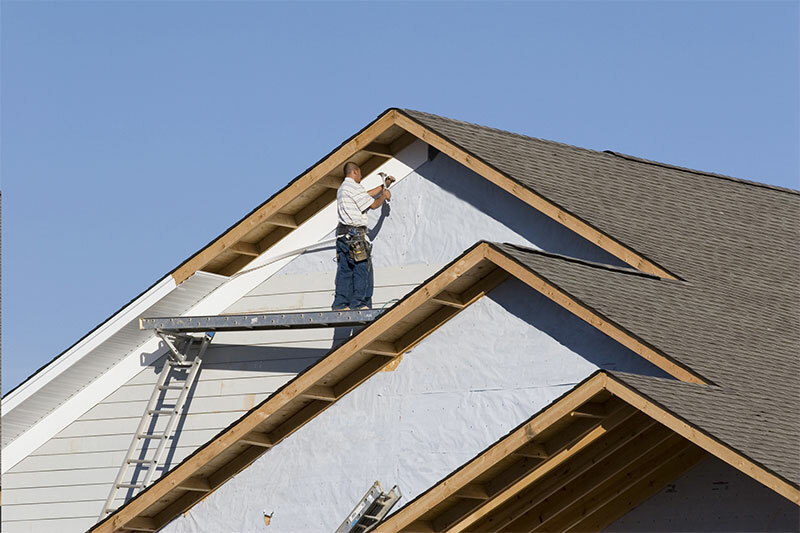 If you're looking at replacing siding on your home, you'll want to talk to an expert. They can check your current siding and let you know if it's time to replace it. An expert can also answer your questions such as how long does siding last and what's involved with replacing siding on your house. We can help you choose the right siding for your home and explaining how replacing your siding can improve your home's energy efficiency. Contact us today and we'll be happy to help you with your siding replacement project.